Plus, the festival kicks off with a minute’s silence for London and Manchester. 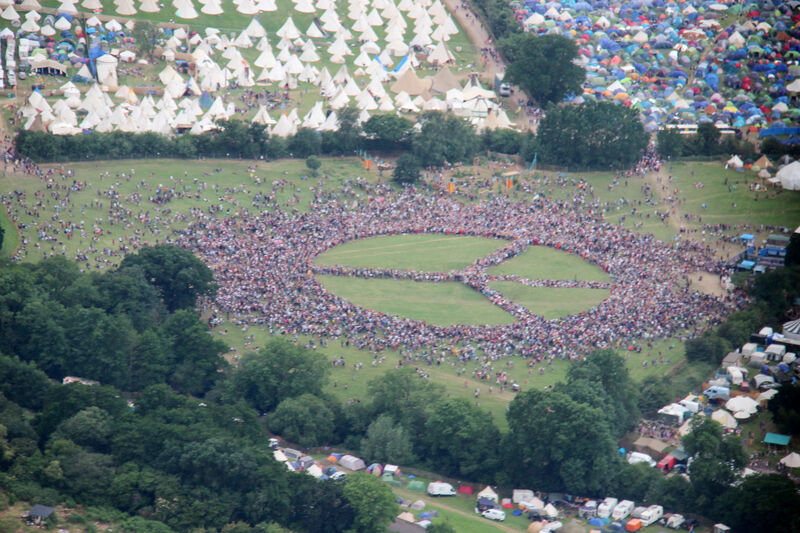 An estimated 15,000 people came together at Glastonbury festival yesterday (22 June) to create what’s being called the biggest ever “Peace” symbol in the world. The gathering took place on the Thursday afternoon at Worthy Farm and has beaten a previous record-breaking attempt in New York back in 2009, with just 5,814 participants. Festival organiser Emily Eavis joined the crowds by the Stone Circle in the Green Fields “as a symbol of our unity and love for one another on Worthy Farm”. 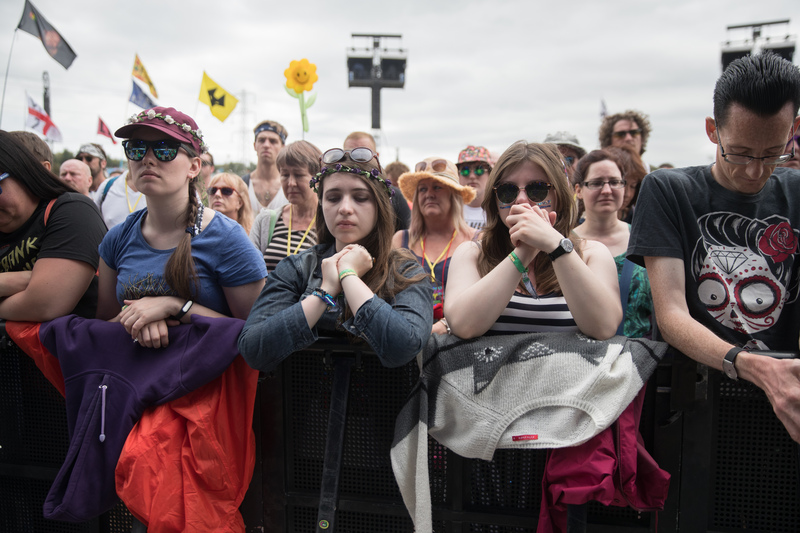 Meanwhile, music began in earnest on the Friday (23 June) following a minute’s silence held at the Pyramid Stage in memory of the victims of recent tragedies in London and Manchester. The moment was led by former New Order bassist Peter Hook, whose daughter was at the Ariana Grande concert in Manchester in May, which was hit by a terror attack that saw 22 people die. Hook told the crowd: “Can we please use this as a chance to send our hopes and our prayers for love, life and freedom?" "We send our sympathies to everyone affected by the events in London and Manchester and everyone affected in Grenfell tower. God bless you all." 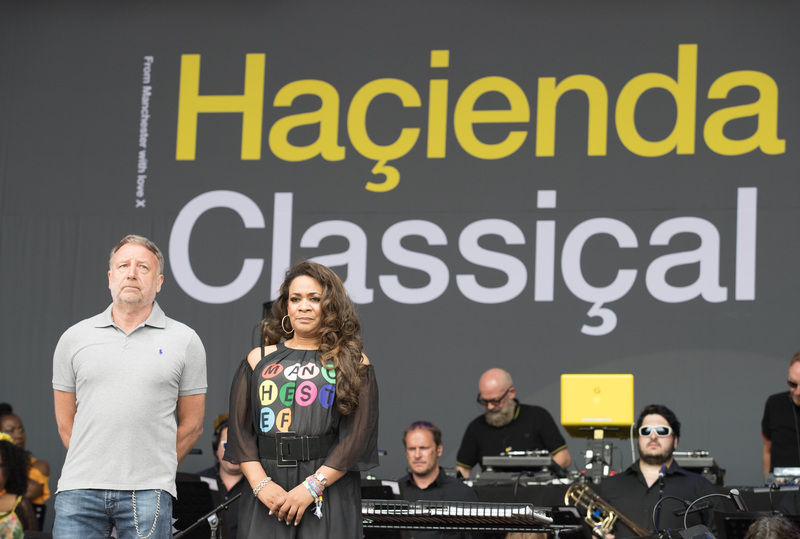 The Pyramid Stage’s day of music then got underway with Hook’s project Hacienda Classical that sees famous house tunes given a makeover with an orchestra.